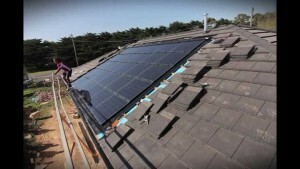 Solar, in and of itself, is good, clean, renewable energy. I have been interested in it since I was a little boy when my step dad brought me a solar powered toy car. Back then the little 1/4″ x 1/4″ solar collector was very expensive, as was the toy itself, which even came with a custom space age looking flashlight gun for indoor use. 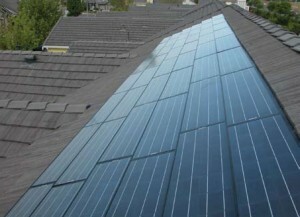 Seemingly the solar cell industry is still pricey, although not nearly as much as it once was. The way the solar industry was subsidized by the government (by the way folks, that’s YOU and ME, the citizen taxpayer and our money) during the recession, however, was poorly executed. Rather than throwing money at the businesses and expecting them to step up and do the right thing for the public was naive at best, irresponsible at worst. What should have been done instead is subsidize ONLY the taxpayers to convert to solar, and let that buying power fuel the solar industry, rather than basically giving the money away to start ups while offering only tax credits to tax payers. Two words: Energy Independence. Energy independence is important to national security in so many ways that I shouldn’t even have to mention it, but let’s boil it down this way to save space: Every bit of energy that we can produce domestically reduces that which we have to purchase internationally. Simple. For instance cheaper, or free, energy for electric cars means less oil that needs to be imported, which means more of our capital kept in our own country. It also means that the middle east, always a hot spot due to oil, becomes exponentially less important to our foreign policy and make it less likely our young men and women will have to fight and die there for the benefit of big oil and the average Joe’s transportation costs. One way that I think we could make some big inroads to energy independence is to institute some mandatory requirements that come packaged with huge tax savings for the consumers, you and me. 1. 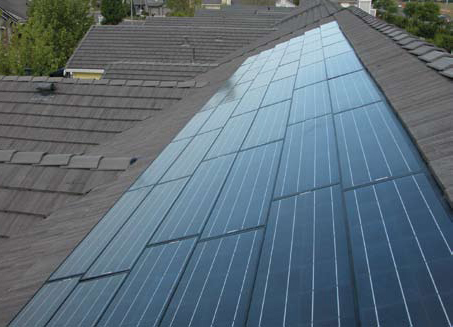 All new home construction should use solar cell impregnated concrete tile roofs on their sun facing sides. My house has a concrete roof, and as long as we don’t walk on it the roof will last virtually forever. Each tile is molded to reduce weight while enhancing strength, and it’s a relatively simple thing to mold them to allow installation of a solar cell in their upper surface, each roof tile pre wired, run together leading to either a single inverter or to a series of smaller modular inverters. I have seen this concept in the field, and it is effective, and a lot less ugly than the large metal frame arrays. Best of all, they are incorporated into the home’s structure. This translates into massive energy savings for the consumer, especially when the surplus electricity is sold back to the utilities. The downside is that the cells will likely have to be replaced in about 20 years, but by that time the state of the art cells will be that much more efficient. 2. Older homes being re-roofed (asphalt tiles last about 20 to 25 years, architectural tiles up to about 35) should be re roofed in the same fashion as new construction, with solar concrete tiles, the trusses and rafters reinforced when needed to cope with the additional but sometimes modest weight gain. What most people don’t know is that an asphalt roof is pretty heavy by itself, anyone who has laid or removed it will tell you that, and one thing I see in the field quite often is layers upon layers of asphalt roof material layer over each other (a no-no, btw), so in many cases reinforcement of the roof when converting to concrete tiles would not be needed. I have seen and documented serious roof bowing under the weight of previous asphalt roofs replaced with concrete, so it does happen. 3. 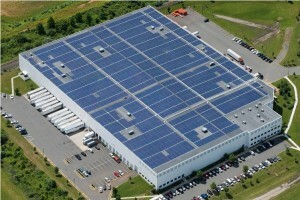 All large, flat roof structure buildings (malls, supermarkets, manufacturing plants, warehouses) should be required to have standard solar panels installed on their roofs, provided they can handle the weight load. Not much of an issue there, very heavy AC units are routinely installed on these surfaces. The business derives all or most it’s electrical usage from these panels (FedEx has been doing this) and selling back surplus energy to the utilities when they are not active. All that large, flat space put to work, that is efficiency. 4. Out in 29 Palms a couple weeks ago I saw a solar panel electric farm being built, and I mentioned this to the next person I met with, and I was surprised to learn there were many more being built in the area, a fact I saw first hand a little later in the day. Lands that are not developed and likely won’t be, and receive a lot of sunlight, I think that’s a no-brainer. 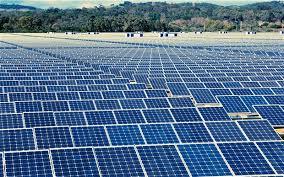 Use them for solar farms. Your country will thank you. 5. Wind. 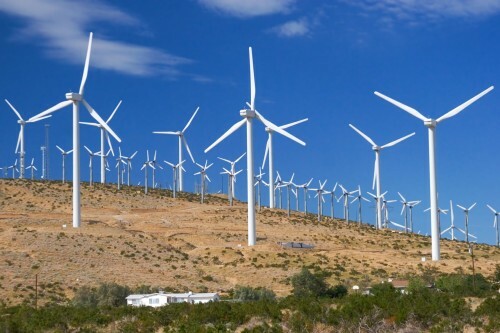 Anybody who has driven the Beaumont to Palm Springs corridor can tell you all about the wind farms out there, harvesting the power of the almost continuous wind that blow through that pass. These giant propeller driven turbines catch the wind shooting through here 24/7, and oddly they sort of resemble giant house fans in a way, as if the people in that pass are being given relief from the scorching heat by these large fans. I firmly believe in alternative energy, renewable energy, and we have all this abundant energy around us all the time for the taking, so I think it’s kind of foolish for an “advanced” civilization to not take full advantage of that which nature provides freely.